I've been thinking about you tonight--you moms with little children (maybe you're young, and maybe you're not-so young, but I think having little ones keeps you youthful, right?). I want to say something to you while I'm close enough to that stage to remember what your life is like, but far enough outside to have a bit of perspective to offer. My youngest child is 5 right now, and my oldest child is 13. Life is busy and sweet, and we have lots of messes and mayhem (and frustrating nights like last night, where I totally vented into my journal and recorded all the details that bothered me--so I could see it in black and white and realize that things will always get better ), but life is not chaotic . . . like it used to be. When Eric was going to graduate school, we lived in a modest apartment on campus with our three preschoolers. 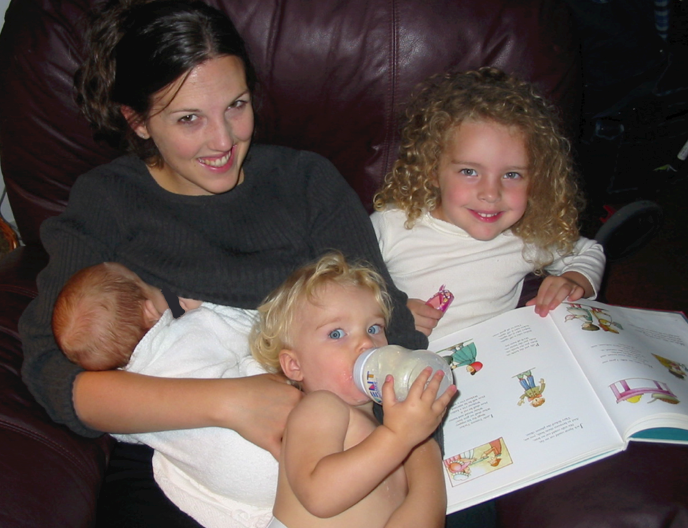 I love this photo Eric took one evening as I was nursing Ethan and reading nursery rhymes to Alia. Grace couldn't find any available "lap space," so she grabbed her bottle of milk and just leaned against my legs. One afternoon, I thought it would be fun to get everyone out of the apartment for a few hours and go to a special store in Boston called "The Christmas Tree Shop." They had all kinds of toys, home supplies, and decor items (year round), and I was feeling up for an adventure. So I bundled everyone up in their coats, hats, and mittens, got all three strapped into their car seats, and drove for 30 minutes to get to the shop. After shopping for about 20 minutes, my cart was about half full, and I was feeling pretty excited about my purchases: a Dora tent for the girls, some curtains for our windows, a night light for Alia's bedroom, and a few little knick knacks for decor. "Mommy, I have to go to the bathroom right now." Alia said. "Just a few more minutes honey. I'm almost done shopping." She started dancing. "Now, Mommy, now! I can't wait!" I rolled the cart over to the restrooms at the back corner of the store, parked it to the right of the ladies' room door, lifted one-year-old Grace out of the cart, and proceeded to walk my two girls into a large stall in the restroom (still nursing Ethan). Alia needed some extra time to take care of things--more than Grace could handle--so Grace slipped under the door and started running around the empty restroom. Splash . . . Splash . . . SPLASH! Suddenly I realized that little Grace was running into each of the other stalls and sticking her hands into the toilets (having a grand old time). I opened the door to Alia's stall so I could reign Grace back in, and Alia started screaming that someone was going to SEE her. Fortunately, no one else was in the restroom, so I was able to grab Grace and direct her back into the stall, help Alia get cleaned up, get everyone's hands washed (especially Grace's), and then calmly exit the restroom (though inside my head I wanted to scream). I'd spent so long in the restroom, however, that by the time I was ready to head to the check-out, the dutiful employees of The Christmas Tree Shop had reshelved everything in my cart. Isn't that a fun story? It makes me laugh now. Motherhood is utterly ridiculous at times, don't you think? Several times, when I was in the midst of the mundane (sweeping, mixing formula, wiping spit-up, picking up toys), I wondered why the young, healthy, vibrant years of a woman's life are also the prime years for childbearing. I felt like I was spending the "best years" of my life changing diapers and trying to sleep while toddlers were piling toys on top of me. But now I don't see it that way. Now I think, "How lucky am I to get to spend the healthiest, strongest, most energetic years of my life as a mother!" I can bounce on the trampoline--holding their hands in mine, boogie board with them, and jump up in a flash to provide kisses when they bang their foreheads on the edge of the table. I can hold my babies on my hips (yes, I still hold Spencer sometimes), chase them up the stairs when it's time for bed, and talk about boys with my teenage daughter--because it wasn't really that long ago that I was going through her exact same time of life. I still have lots of years to pursue other adventures. But this adventure of young motherhood, which is too-quickly shifting to empty-nest-hood is a beautiful, beautiful time. Just something to think about when your children are splashing in the toilet. April, I needed this post tonight. Right now! My husband is finishing his PhD and today he left for his first of 9 job interviews. I am feeling in over my head with our schedule this next month - thank you for reminding me to create memories in all the chaos of this time in our lives! I've loved all of your recent posts since I started following your blog a few weeks ago. Thank you so much for sharing your heart! Read this aloud to my husband! I actually laughed out loud when I got to the part where they had re-shelved all of your items! Oh man...ridiculous! Thank you for the great reminder! Rachel, I just love you and appreciate your kindness and goodness. Thanks for all you do for Power of Moms and in your home. You are a jewel. Thank you, April! I sort of assumed that I was just behind because of the curve ball life threw at us, but I am finally realizing that the transition to three preschoolers is hard. This is just the sort of reassurance I needed. I have also been totally transformed by just the "acceptance" section of the book. I love knowing I am not alone. Liz, you definitely have an added measure of difficulty right now, but fortunately, you've got the character, faith, and strength to manage it better than I would be able to do so. So glad you like the book! You are doing great work. Can't wait to meet in person sometime soon. Crazy great memories, April! Thanks for sharing. Brought back lots of memories of my own crazy moments. They really are quite humorous in hind-sight - wish I'd been better at realizing the humor in the midst of it and realizing that the moments do pass and that things are pretty much always OK in the end. I agree with you, Saren. I wish I'd been able to laugh more at the time. Eric said, "I remember that day, and you didn't think it was funny at all." But now don't you think we're able to laugh a little quicker? Oh April! You are so right about our mothering time coinciding (but not a coincidence) with our healthiest, strongest, most vibrant years! DUH!! Now that I am an almost Empty-Nester I find myself wishing for those earlier years and wanting to do them better with the wisdom I have gained now from Power of Moms. Goodness gracious! Thanks for this post. My husband is in grad school while working full time at a very busy firm while I'm home home with our two babies...not easy but so thankful for the blessing of being able to be here for their every need. Thank you so much for writing this post! I needed to read this tonight. 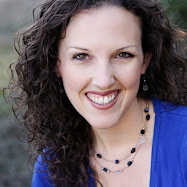 I am a mom of young children (5, 3 and almost one) and have been feeling overwhelmed lately with wondering if what I am going through is normal and/or if I'm screwing up my kids. 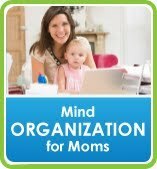 :) I was looking at your website, The Power of Moms and was wondering how I could join a group? I don't want to start a group, I just would love to be part of a group with great women and make some new friends and also learn how to become a better mom in the process. I live in Northern Utah and my email address is ewilson386@yahoo.com.